Well here it is, the first post of our brand new blog! Alongside the launch of our new website, we're bringing you this! Why'd we decide to try writing a blog? Well, we always have so much great stuff going on at Max & Maude, and we wanted to find an outlet for it—somewhere you can discover and revisit all this great stuff! From events to product releases and reviews to handy tips, we hope there'll be lots to catch your eye. We hope you enjoy reading and watching our blog, just as much as enjoyed creating it. The Puj Tub: Easy baby baths, and say no to rando tubs. This is the Puj Flyte tub. It's a BPA- and PVC-free plastic tub that fits inside any sink. Having your baby in the bathtub, kneeling on the hard bathroom floor, leaning over the corner of the tub is not the most fun. Puj has eliminated that, and solved some other problems that you didn't even know that you had. So, one of the best things about the Puj Flyte tub is that it's soft and flexible, and fits in your sink. But the beauty of it is that folds flat. So instead of having that giant plastic tub that you have to find somewhere to store all of the time, this tub folds flat, and hangs conveniently on Puj Nubs, which we also carry at Max & Maude. The other cool thing is that this tub travels well. So if you're going camping, going to grandma and grandpa's house, or going on holidays, this baby folds flat, you tuck it in your suitcase, and you're good to go. You can give baby a safe, nice bath anywhere, without fearing putting your kid in some rando tub. Another great product in the Puj lineup is the towel (Puj Hug). 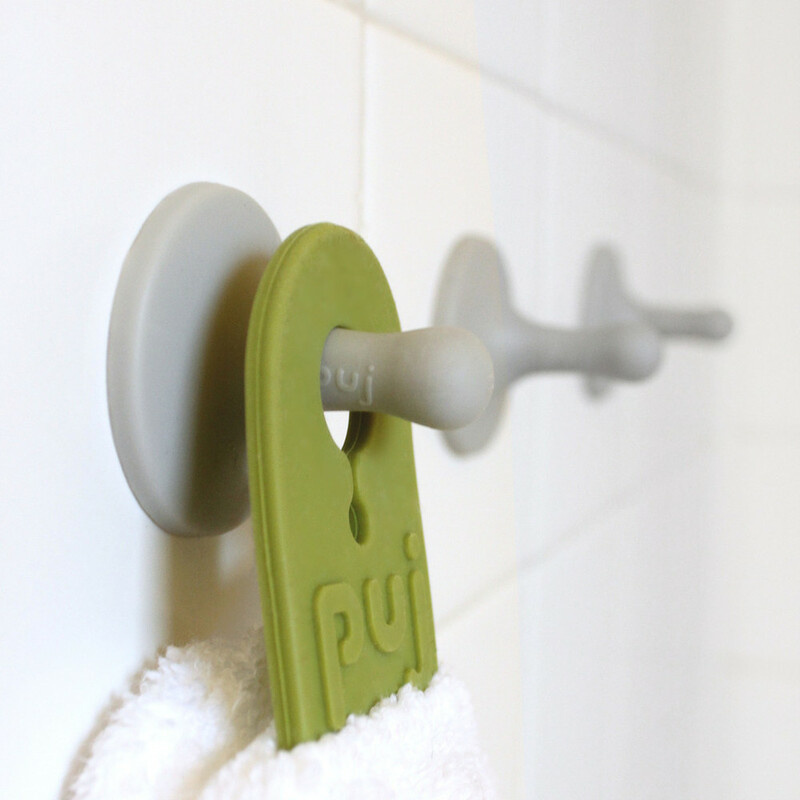 You can also hang it from Puj Nubs—these are cool hooks because you can put them on the wall or pretty much wherever. 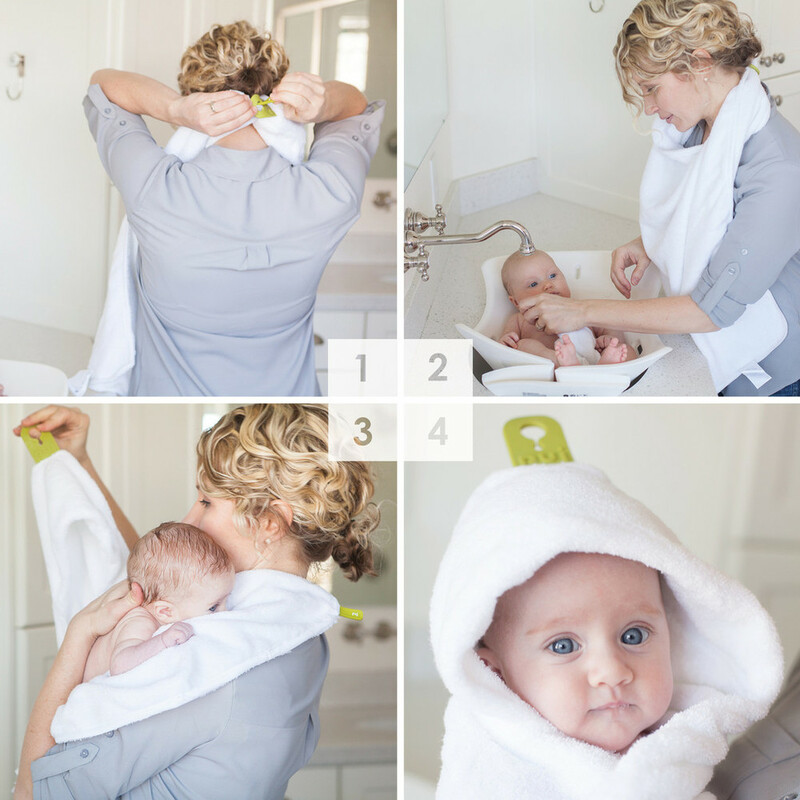 The towel can connect around your neck, solving another problem—when you're trying to get baby out of the tub without laying the towel on the floor or the counter where there's not enough room. Pick up baby, unhook the towel from around your neck, and you've got baby wrapped and dry. The Puj Flyte tub is one of our favourite products—come and check one out.